Select a character to begin your adventure from the 10 available adventurers. 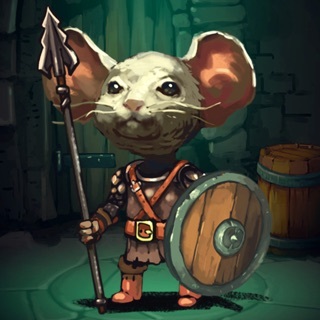 Use unique abilities from a list of 500+ to defeat your enemies and level up while finding more adventurers. Version 1.5 is now live! - A sudden cataclysmic event resulted in the creation of mana bars. Additionally many magical abilities are now affected by mana. - The Farmer and the Archer trained together in order to be more attractive as a starting character. Similarly the Armorsmith, Cupid and Pirate had to retrain based on enemy feedback. - Now you explore Rooms instead of Levels. Makes more sense. - Some abilities were stopped by dodge while not being attacks. Outrageous! You can't dodge a Resurrection. - There's been a Crash different that the ability with similar name. It has been polymorphed into a feature. - The Dragon returned to its former glory! Game is fun so far. I’m looking forward to updates! I don’t want to complain about the app much because I know this is brand new for you so I’ll wait for the updates and continue to play! I’ll keep adding reviews as the updates come! Dungeons of Chaos REVAMPED ED.